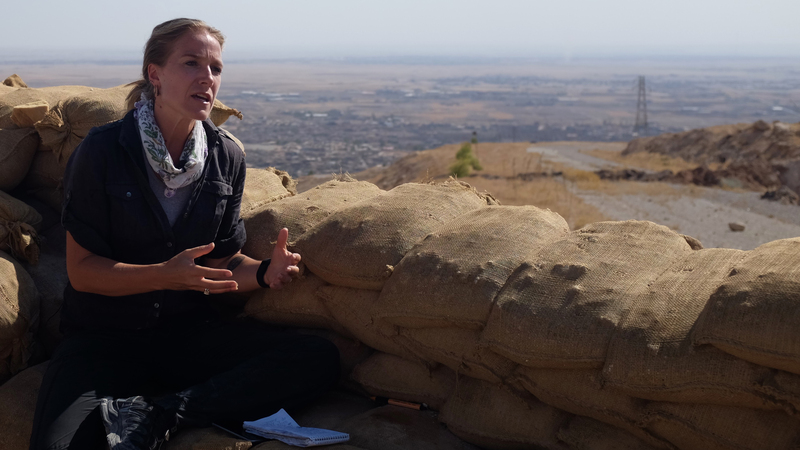 CNN senior international correspondent Arwa Damon (@arwacnn) will receive the 2017 James W. Foley Humanitarian Award, it was announced today by the James W. Foley Legacy Foundation (JWFLF). Damon is being recognized for both her compelling reporting from conflict zones and compassionate advocacy for children impacted by war through International Network for Aid Relief and Assistance (INARA), the non-profit organization she launched in 2015. JWFLF will also honor Delphine Halgand, U.S. Director of Reporters without Borders, with the James W. Foley American Hostage Freedom Award, and independent conflict journalist Emma Beals with the James W. Foley World Press Freedom Award on May 1 at the second annual James W. Foley Freedom Awards dinner in Washington, D.C. Following the 2014 murder of her son, American conflict reporter James Foley, Diane Foley launched the JWFLF to continue Jim’s legacy by support work in three areas: American hostage advocacy and hostage policy research, the protection of independent conflict journalists, and the education of the public and university students on these silent crises.